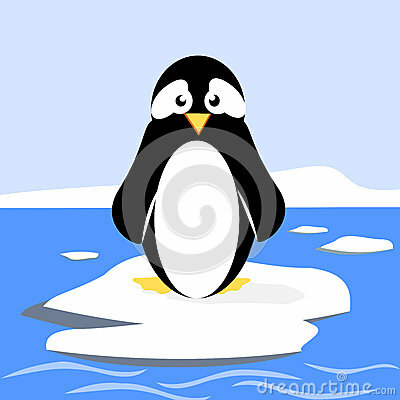 Another clipart picture I added recently to Dreamstime, a penguin with a worried expression standing on an ice floe in the middle of what I would say is the arctic ocean. Maybe he's worried about global warming. Or maybe he just doesn't want to go into the freezing water.